Let me tell you the story of my life every time I go to a restaurant. I am never EVER able to pick just one main course and an appetizer just for myself. I know many people even hate to share their food with others, but I'm definitely not one of them. 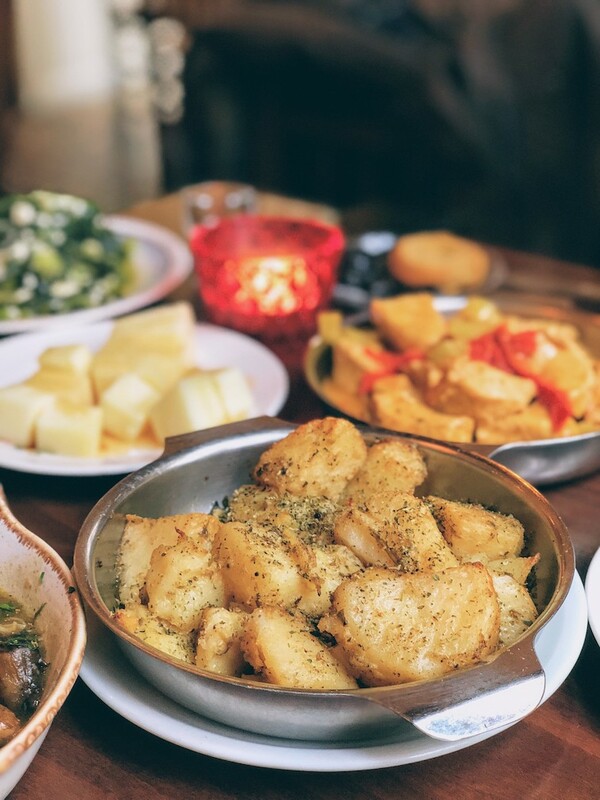 That's why I love to visit places like Palio Taxydromeio, which offers small and tasty meze dishes in a very cozy family-style environment. 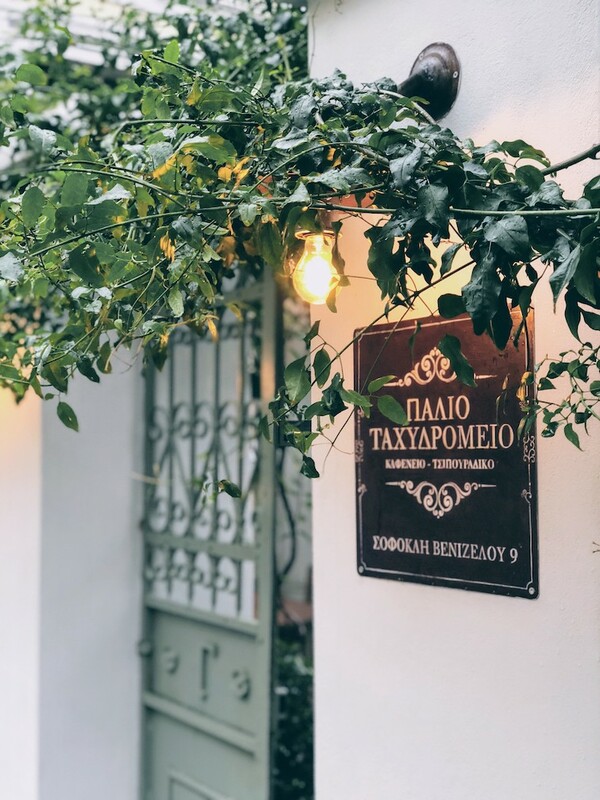 Located in the vibrant and busy neigborhood of Halandri, this small meze place is the perfect spot to meet a few friends to nibble some food and catch up. The tables are quite small as well, so I would recommend you visit in small groups of 2-6. There are lots of choices to choose from depending on what you're in the mood for. 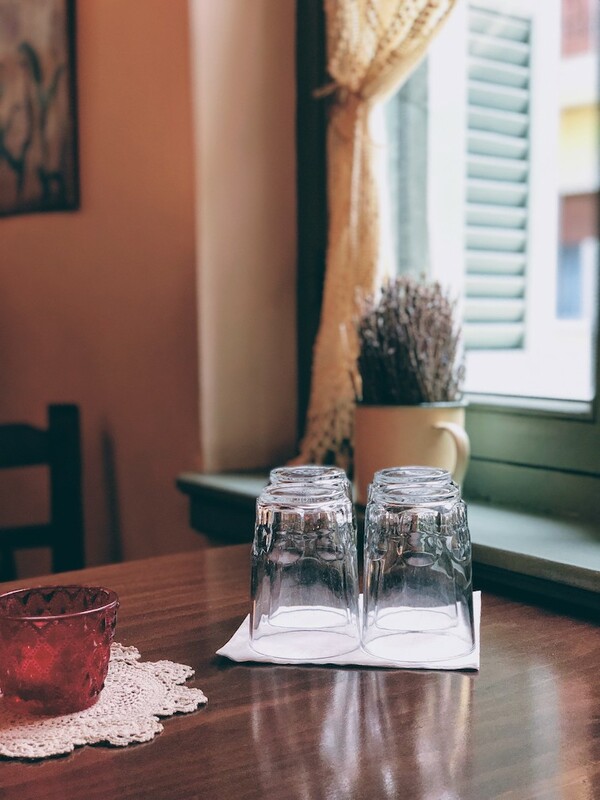 Cheese lovers should be aware of the following dishes: Cretan Graviera cheese bites served with honey, tyrokateuteri (spicy cheese spread), as well as, the sautéed greens served with feta cheese. On the other hand, some veggie dishes are the baked potatoes (YUM!) and sautéed mushrooms (YUM as well!) and the "ntolmadakia gialantzi" (vine leaves stuffed with rice). Now, since I am a meat lover, I feel the need to talk to you about some of my favorite meat dishes. First of all, the baked frumenty served with smoked sausage was actually an unexpected dish. Secondly, the chicken tigania is very tasty and properly tender. 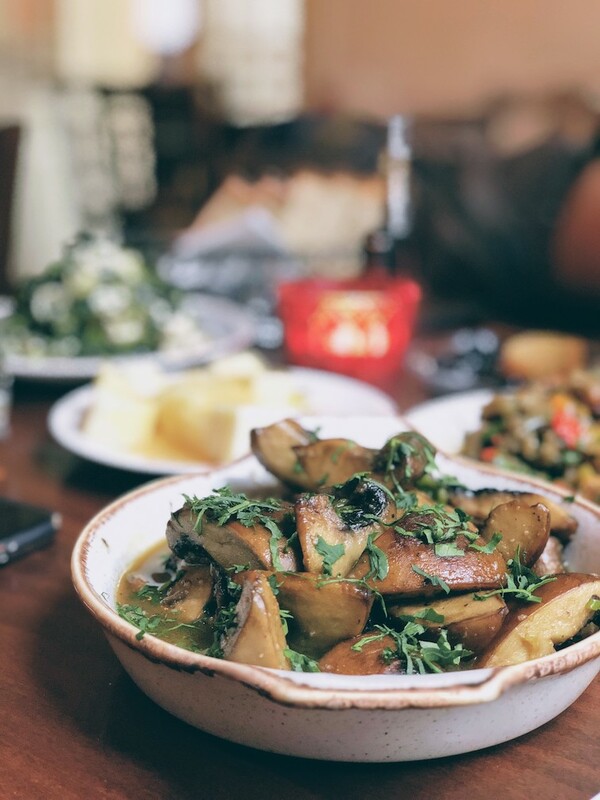 In addition, the soutzouki saganaki is always a dish to enjoy (it's a bit heavy though) and the chounkiar beyiendi is a greek/turkish dish you should definitely try. Lastly, definitely give a try to their special dessert called the "Cretan kaltsounia". Its a traditional Cretan dessert, which is usually made savory and sweet. In this case, its basically made out of dough, cheese and sugar, served with cinnamon and honey! Wow! Did I mention its served warm?! Try it out!